You give your dogs the love and affection they need, protect them from Heartworm too! For 2012, the goal of veterinarians and the American Heartworm Association (AHS) is to educate the public on preventative care, especially for heartworms. Each year, thousands of dogs die due to a infection with these parasites. The numbers do not include dogs that are put down because rescue kennels cannot afford to treat the dogs. In addition, the numbers do not include the thousands of stray dogs that die from this disease each year. Imagine being a vet for a moment. The biggest challenge many animal health practitioners face is convincing a dog owner to use a monthly heartworm treatment to prevent infection. 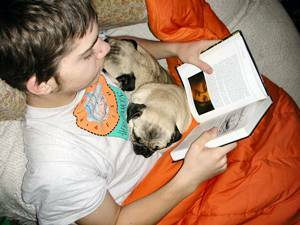 Most pet owners do not believe their dog will become infected. In addition, millions of pet owners believe that using one of the approved monthly treatments will make their dog sick. Now, imagine as a veterinarian, you must tell a dog owner that his or her beloved pet is infected. Or worse, imagine telling a dog owner their beloved four-legged family member has just died due to an adult worm infection. In thousands of cases, the owner has no idea why their dog has fallen deathly ill. An emergency visit to the vet’s typically ends with the dog passing away while being examined or the infection is too severe to be treated, in which case the dog must be put down. 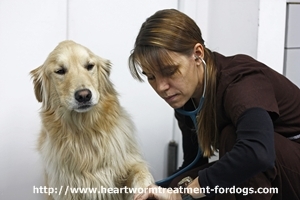 If you are not concerned about a heart worm infection, you should be. The disease has reached epidemic proportions in the United States. The AHS has reported cases in ALL states. Just 10 years ago, there were several states that had zero incidences of infections. Today, every state is reporting an increase in infection rates. Although many European countries do have a low incidence of infection, it is important to mention a frightening trend is beginning to emerge. The rate of infection is beginning to increase in Europe. This increase is directly related to an increase in the mosquito population. Many countries are experiencing warmer and more humid weather. This type of weather allows mosquitoes to flourish. As mosquito populations continue to increase, the greater the risk this devastating infection will spread. The infection rates in the United States could have been greatly reduced had pet owners diligently given the monthly medicines approved for the purpose. Now, preventative medicines can be a matter of life or death. You only need to visit YouTube and search the term “heartworms”. You will see hundreds of videos created by people who lost their beloved family member to this treacherous infection. Sadly, many of the pet owners did not know their furry family member was suffering until their pet died from the disease as symptoms may not be apparent until the end stage. While your dog needs your love and attention, he or she also needs you to provide them with the medicine to protect him or her and do all that you can to ensure a long, happy life. The tremendous prevention efforts being put forth by veterinarians and the AHS are an attempt to save the lives of thousands of pets. In addition, the prevention education is intended to save pet owners from the heartache of losing a beloved furry family member to a disease that IS preventable. If you still feel preventative heart worm treatment is unnecessary, simply some of the videos posted online that have been created by heartbroken pet owners. Many of them believed that their four-legged family member would never contract an infection. Like millions of other pet owners, these people believed that ingredients in these treatments are a poison that would harm their pet. But today, after their devastating loss, they are trying to send a message to others. That message is: PREVENTION! If you are not currently protecting your pet with heartworm prevention treatment, please visit your veterinarian so he or she can recommend the best monthly treatment. He or she will provide accurate information regarding the risk of a heart worm infection in your area and in addition, will explain any side effects that are associated with these medications. In the majority of animals treated with a preventative medicine, there are virtually few side effects. However, a small percentage of pets may experience a mild allergic reaction. Monthly heartworm prevention treatment and annual visits to your veterinarian will help keep your pet healthy and safe. Don’t take chances with your pet’s health, read the advice available on the AHS website and ask your vet for recommendations for preventative care.